1917-1918 Chairman of the Estonian Province Assembly. 1918, Chairman of the Estonian Rescue Committee. 1918, imprisoned by the German occupation powers, from July to November 1918 in a prison camp in Poland. In 1918, while the Prime Minister of the Provisional Government of Estonia, as well as the Minister of Internal Affairs, 1918 the Minister of War. 1922-1923 Chairman of I Riigikogu.1917-1919 member of the Estonian Province Assembly, 1919-1920 member of the Constituent Assembly, 1920-1934/37 member of the I-V Riigikogu. Finished the Pärnu State High School, studied at the Law Department of the Tartu University in 1894-1898, Candidate of Law. 1898-1899 compulsory army service in Pskov. 1901-1905 editor of the Teataja (The Gazette) newspaper. 1904-1905 Member of Tallinn City Council, Assistant Mayor in 1905. Participated in the Russian Revolution of 1905, escaped abroad, was sentenced to death by default by the Russian court-martial. 1905-1906 exile in Switzerland, 1906-1909 in Finland. In 1909 in St. Petersburg gave himself up to the court authorities and was sentenced to 9 months of imprisonment, served the punishment in the "Kresty" prison of St. Petersburg. 1908-1910 editor of the "St. Petersburg Gazette". 1911-1916 editor of the "Tallinna Teataja", 1916-1917 army service in Tallinn. In 1917, Chairman of the Supreme Committee of the Estonian Military in Tallinn. 1928 Honorary Doctor of Law of Tartu University, in 1938 Honorary Doctor of Sciences of the Tallinn Technical University and the University of Andhra (India). 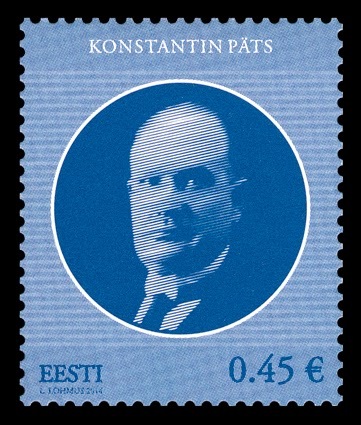 1938 Honorary Member of the Estonian Naturalists' Society, Honorary Member of the Learned Estonian Society, Honorary Member of the Estonian Institute of Natural Resources, 1939 Honorary Member of the Estonian Academy of Sciences, Honorary Alumnus of the student fraternity "Fraternitas Estica". Honorary citizen of Tallinn, Narva, Pärnu and Tartu and the rural municipality of Tahkuranna. Cross of Freedom I/1 and III/1. Publications in the field of state law and politics. 30.07.1940 imprisoned by the NKVD and deported to Russia, lived as deportee, then in prison, 1954-56 in the mental hospital of Kalinin, where also died. On 21.10.1990 was reburied to the Metsakalmistu in Tallinn.